The Luckiest Color for General Good Fortune. Both arms are raised for an extra big helping of Joy! 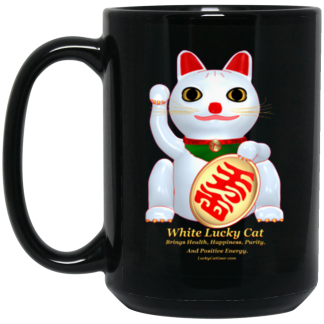 Having both arms up on a Lucky Cat was something that was fairly new to me. I’d seen the cats with two raised arms and read the varying opinions on the cultural validity of the two raised arms. The Calico just seemed natural to try it out on. I have them in my store along with my other designs and that one seems to float to the front of the rack a lot. There’s just something about it that make me feel good when I look at it. Like when a cat goes prairie dog and reaches up to you, because they want to be picked up.